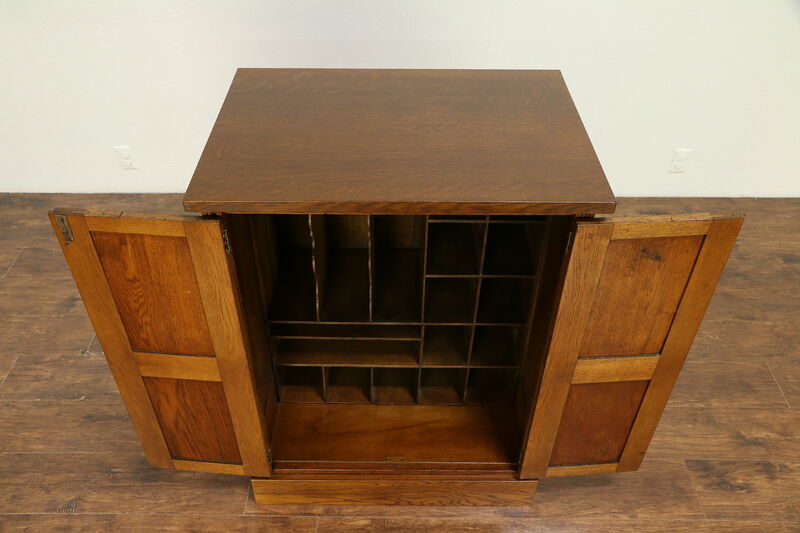 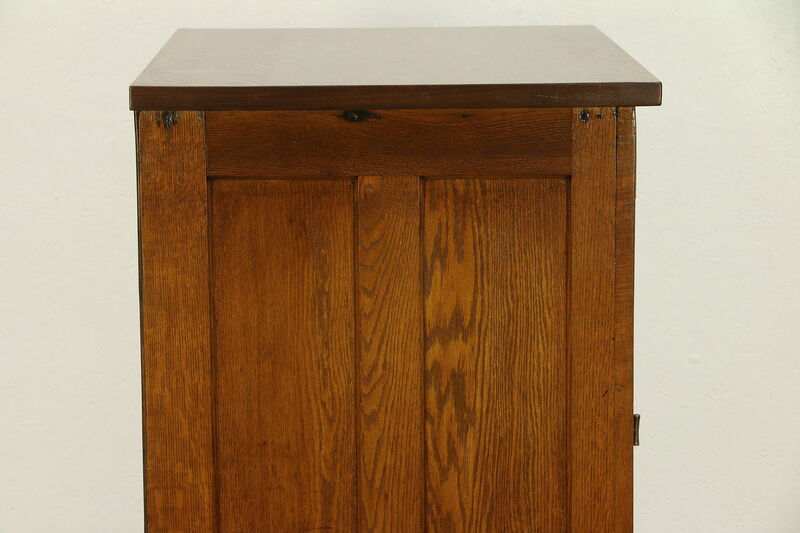 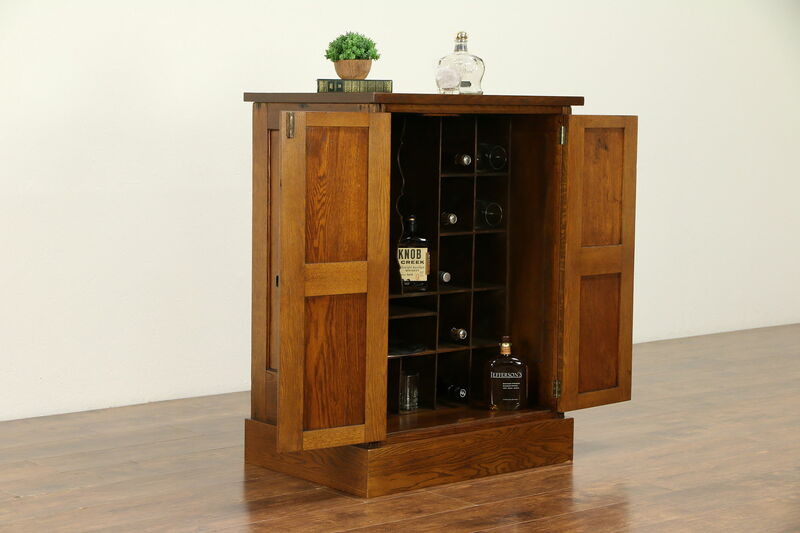 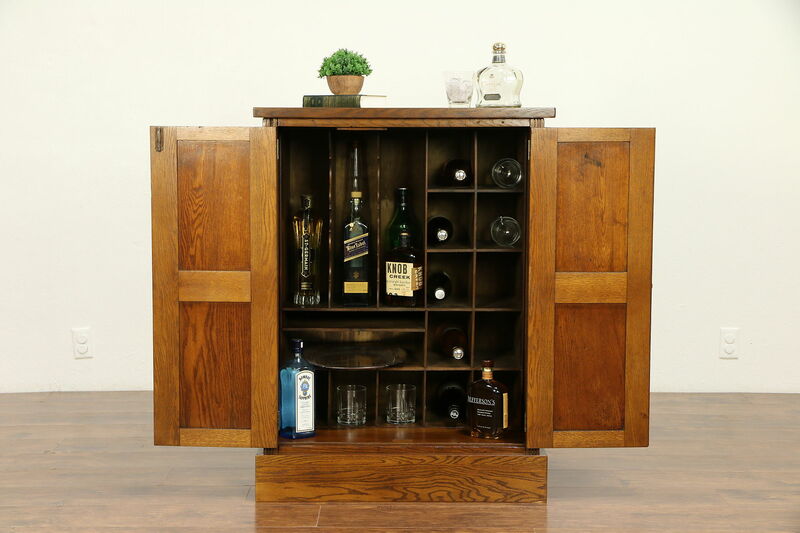 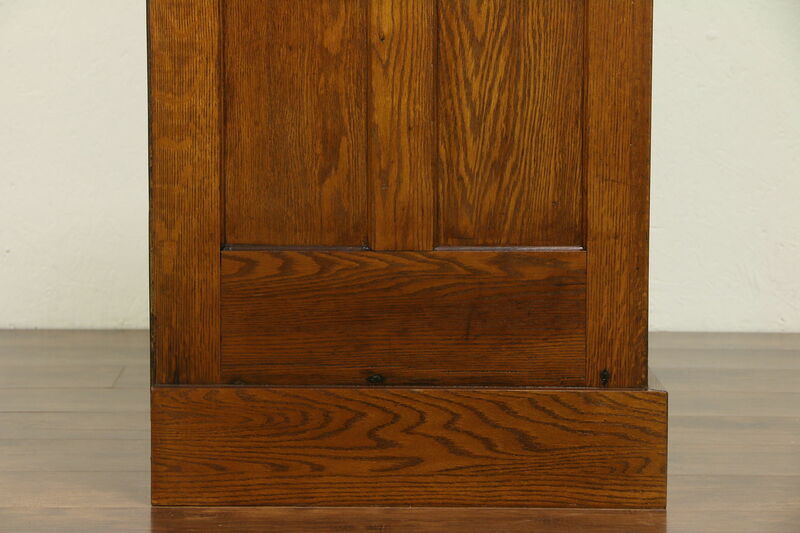 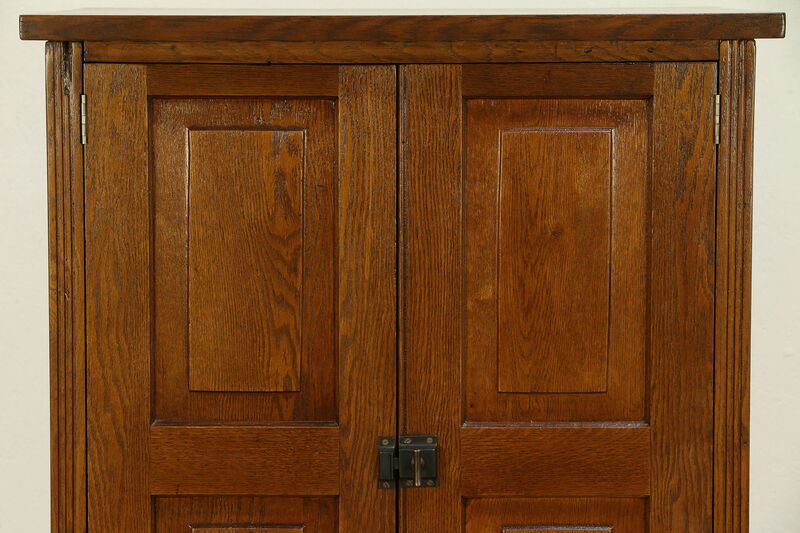 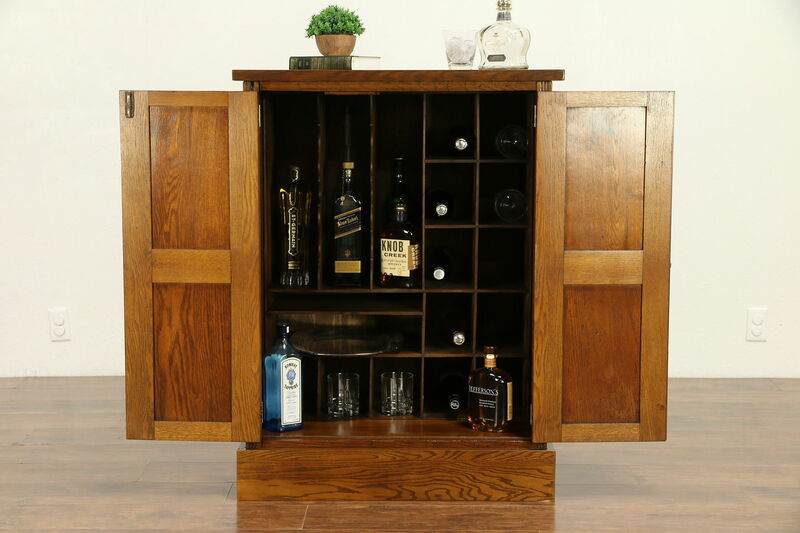 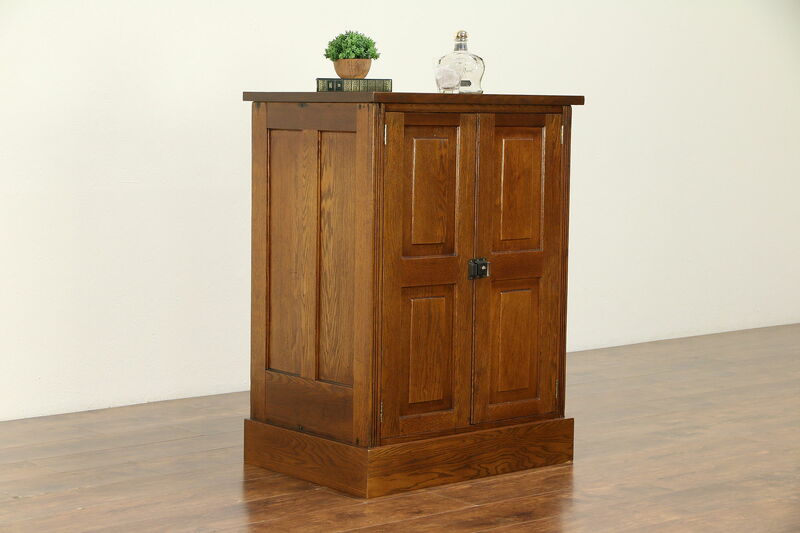 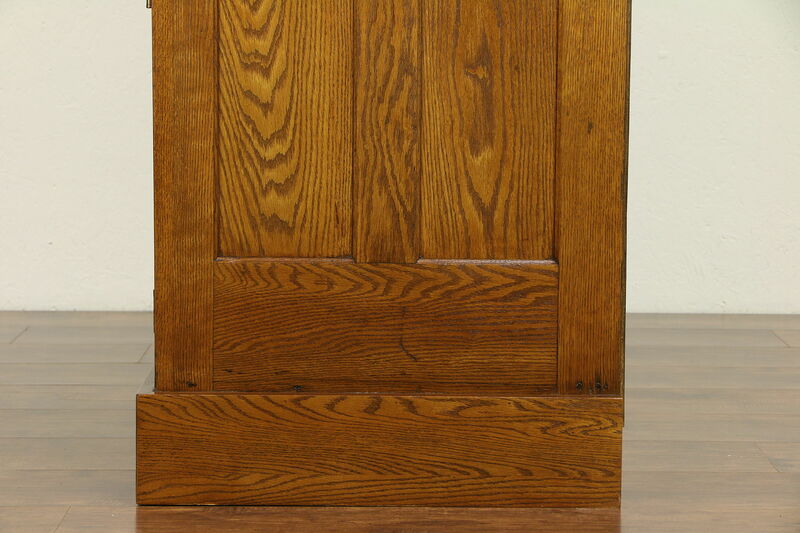 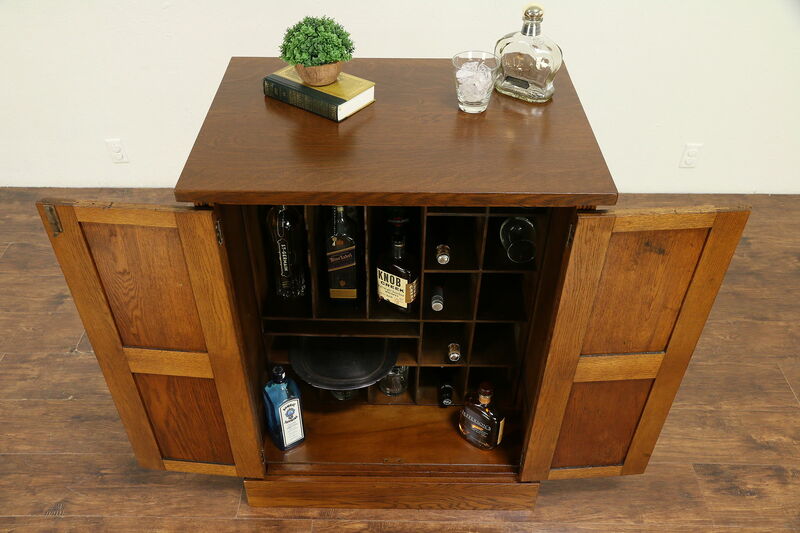 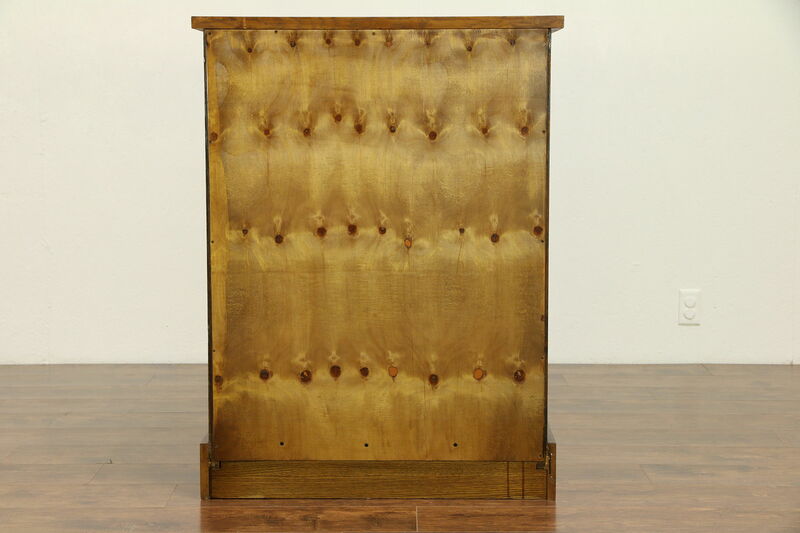 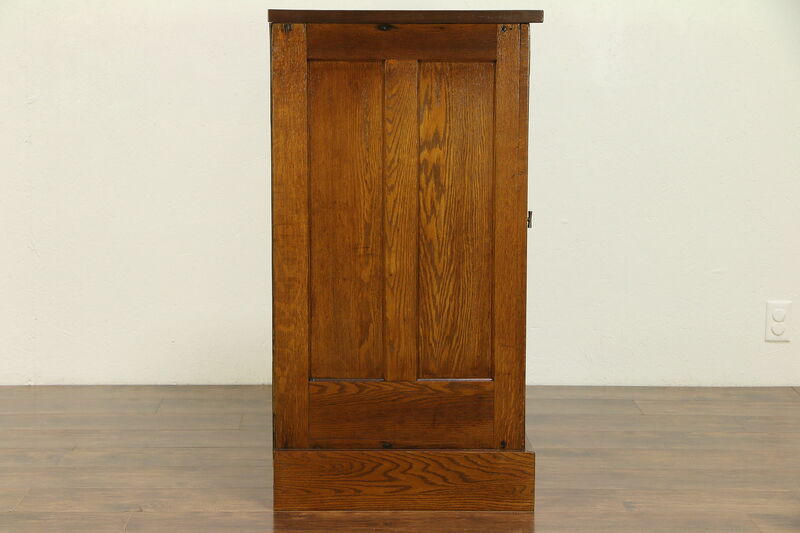 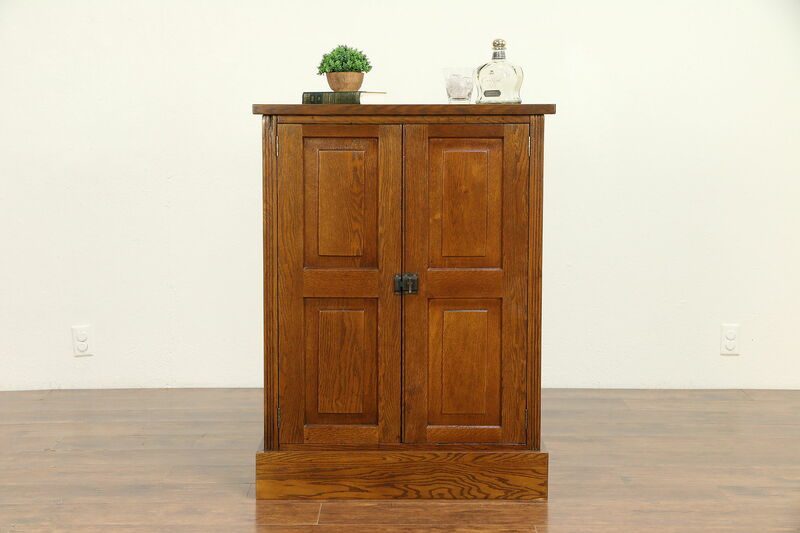 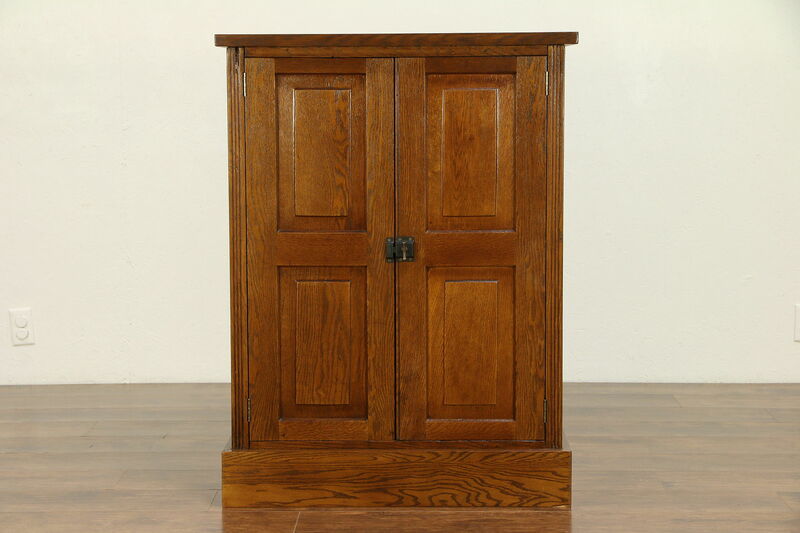 Crafted of solid oak about 1900 for a country hotel, this cabinet contains "pigeon hole" mailboxes and file cubicles. 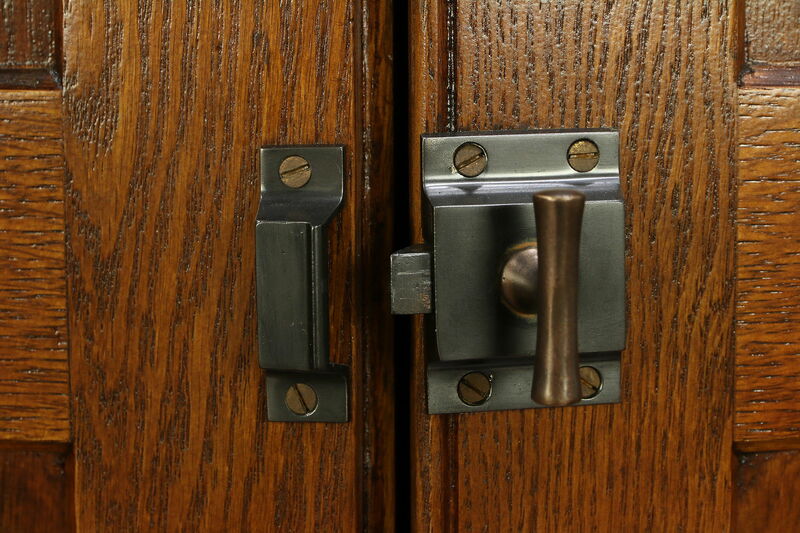 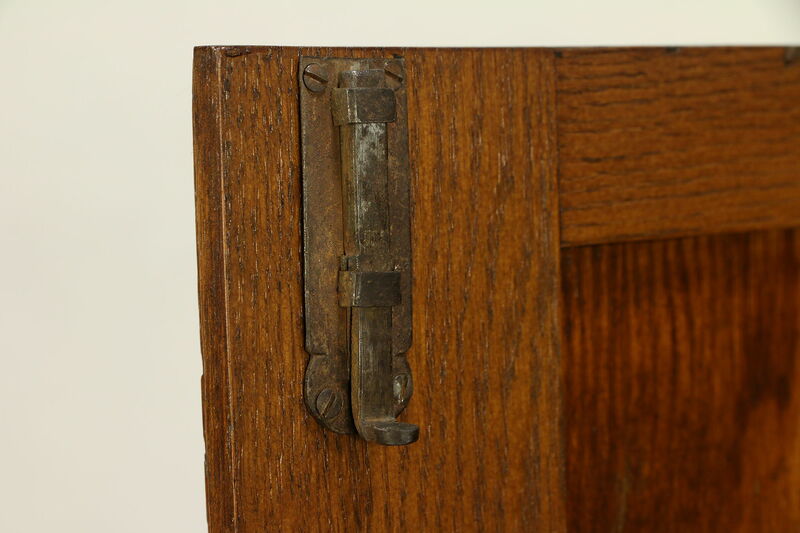 Doors have raised panels, the latch is original. 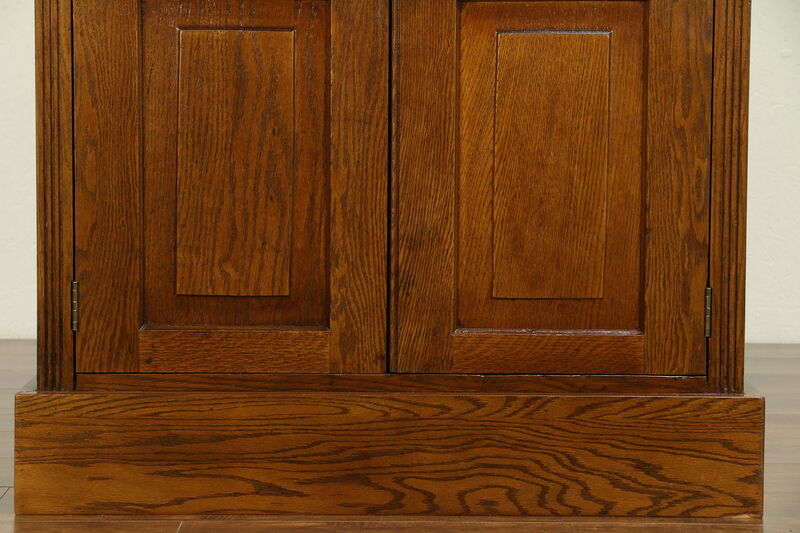 The interior has a slight medicine or chemical scent. 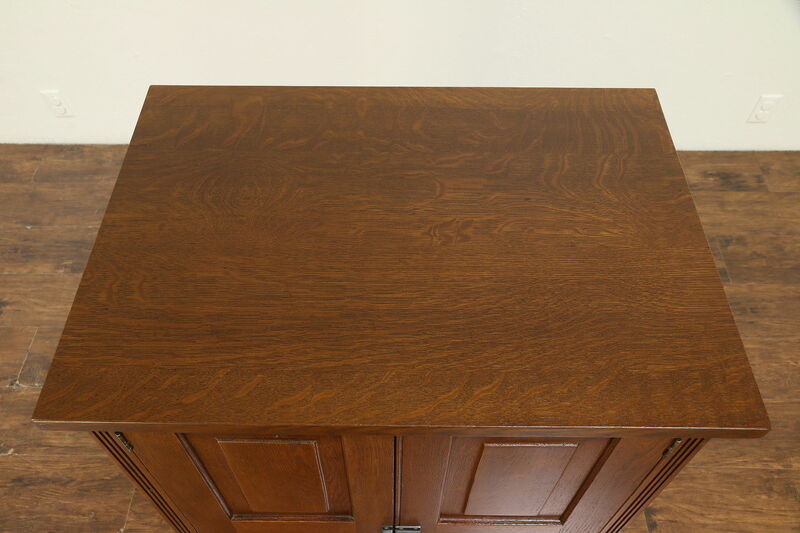 The restored finish is in excellent condition, there are mars and ink stains inside, see photos. 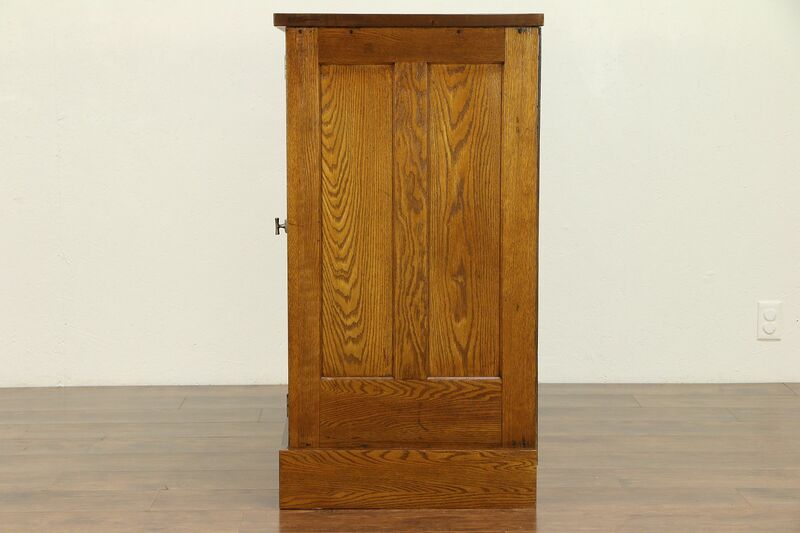 American made antique office furniture, sides are paneled. 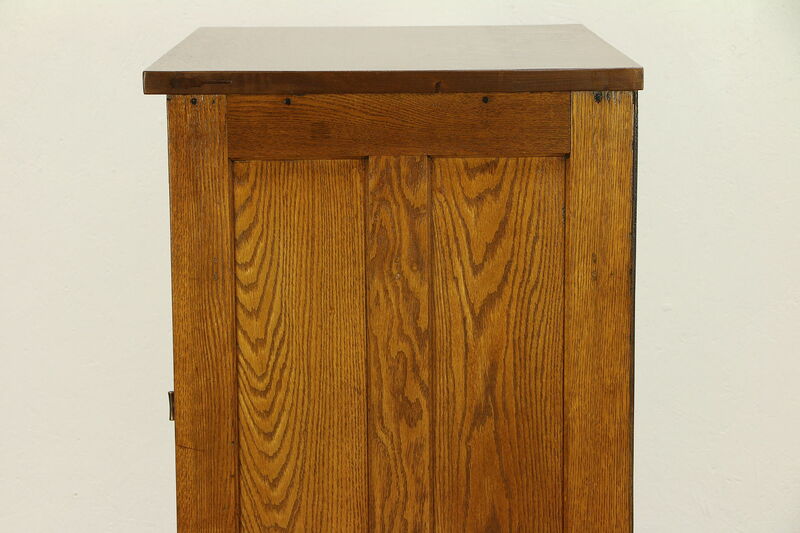 Measurements are 31" wide, 22" deep and 41 1/2" tall.